Best Life Size Giant Stuffed Animals for Sale! I have always loved stuffed animals and I dreamed of having a room filled with them when I was a child! I still love them and my daughter also follows my passion. But when I saw these life-sized gigantic stuffed animals I went totally ‘bananas’! Talk about ‘oversized’ plush pets! Oversized plush animals are the most fun kind of stuffed animals to have in your bedroom! Kids love to cuddle with big stuffed animals! 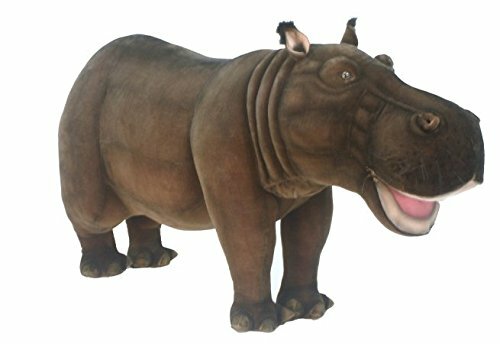 On this ‘oversized’ page, you are going to find the most fun and unique oversized and LIFE SIZE stuffed animals being sold online! My favorites are the realistic ones, that small kids can even ride them on! *By the way, how awesome and very realistic is this gigantic life size ride-on plush hippo? 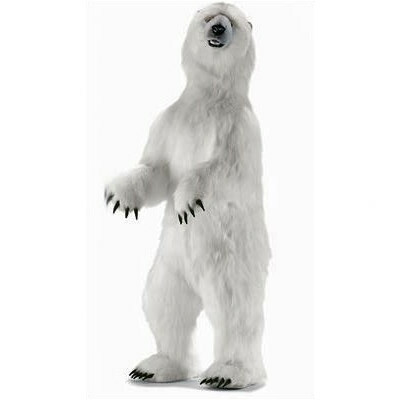 Realistic Giant Stuffed Animals for Sale! Kids love giant stuffed animals! They are pretty impressive and realistic and kids love to ride them too! I found the most amazing giant ride-on stuffed animals online today and I had to show them to you! 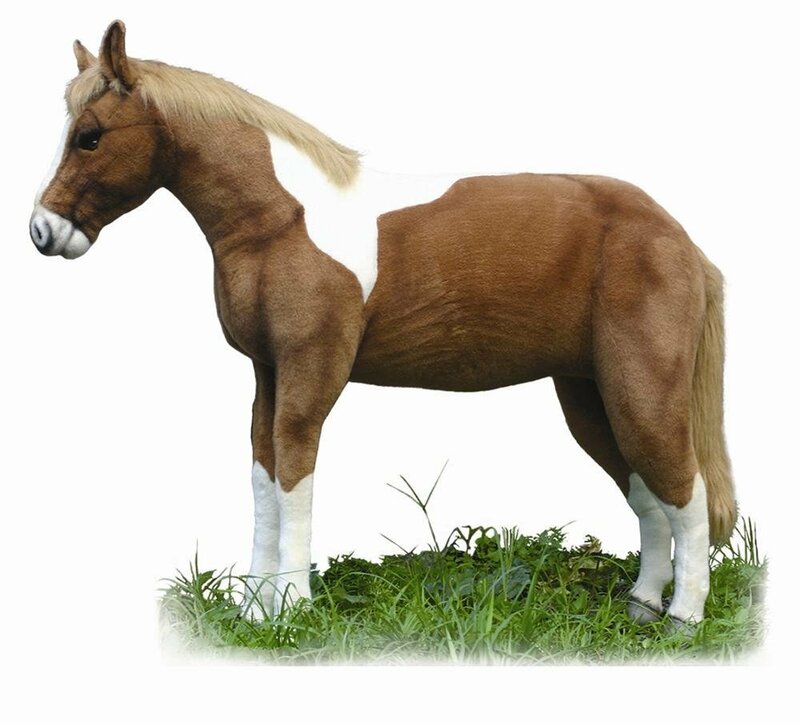 They are all extremely realistic and perfect for a toddler or small child to ride-on! Children love life-sized large stuffed animals and some kids do believe they are real! 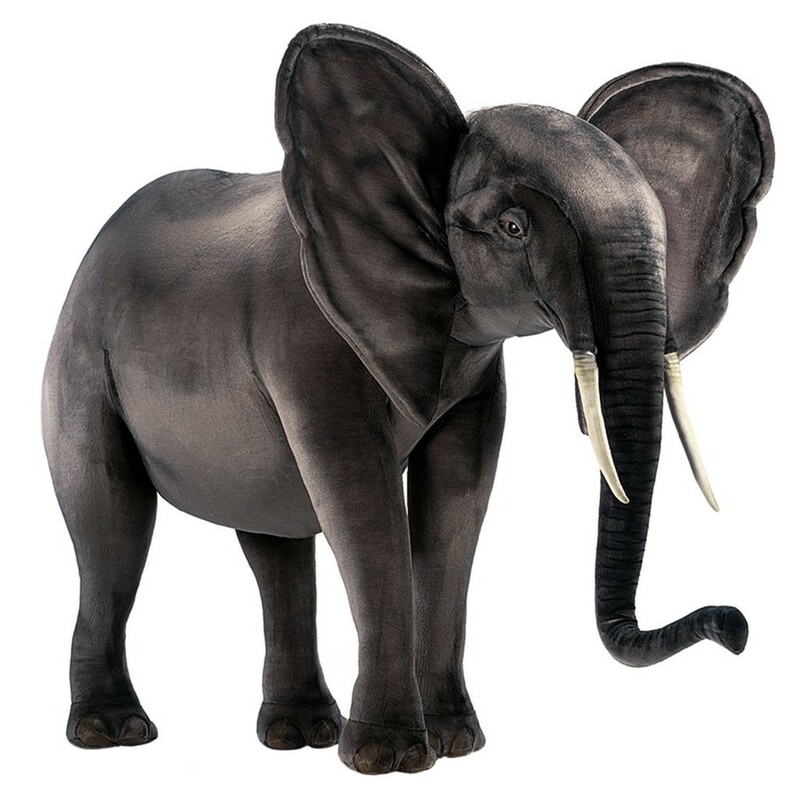 On this page, you will see many life-size stuffed animals to choose from! They make awesome gift ideas for toddlers! Have you ever wanted to ride a black bear? This is a giant ride-on plush black bear! It can stand up to 150 lbs! Can you imagine having this awesome life-sized black bear right inside your bedroom or in your living-room? Just picture your guests reactions when they see him for the very first time! 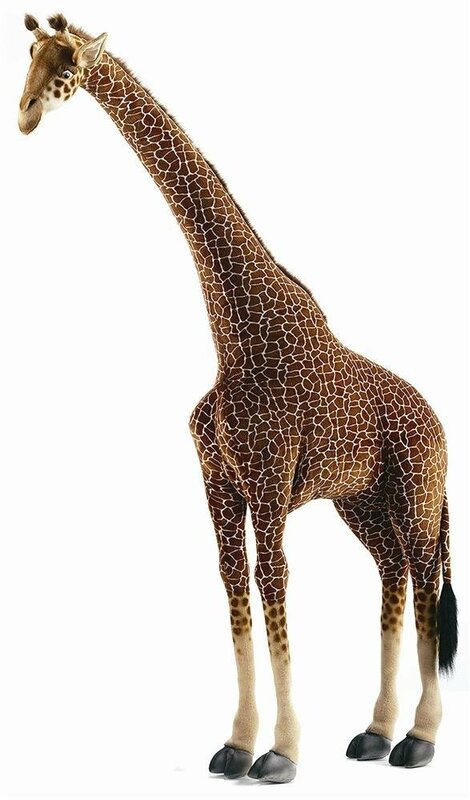 How about a Life Size Standing Plush Giraffe? Do you absolutely love giraffes? Then how about having a real looking life-size stuffed giraffe inside your home? What a cute, soft and cuddly oversized gigantic stuffed giraffe for sale! She is very realistic and very impressive! It’s probably the most gigantic giraffe gift idea for someone ever! Can she fit inside your house? She is so realistic that small kids will not know she is NOT real! This lovely ride-on plush giraffe is one of the most popular giant stuffed animals to ride-on for kids! She also has wire frames inside, so you can pose her! She looks very realistic and small children will really believe they have a real giraffe in their bedroom! How about a Cute Life Size Deer Stuffed Animal? Realistic Life Size Plush Animals! 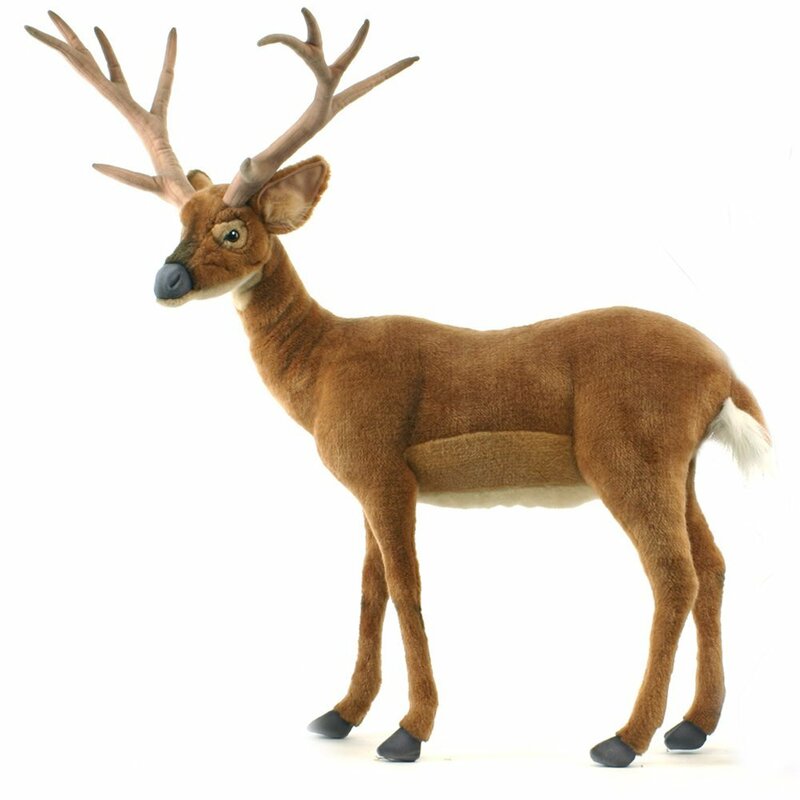 How cute is this life-size plush deer? Kids can also ‘ride’ him! 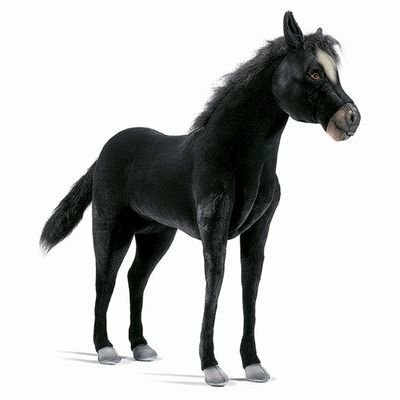 Isn’t this ride-on black horse stuffed animal one of the most beautiful ride-on plush horses you have ever seen? Perfect to have next to the zebra! What an awesome gift idea for any horse lover or child! This beautiful ride-on plush black horse for sale is one of the most popular giant stuffed animals bought by parents! He is very realistic and just perfect for kids to ride him! Perfect ‘horse’ gift idea for children! Beautiful Life Size Ride on Stuffed Animals! What is even better than a ride-on plush horse for many kids? What child doesn’t dream of having her very own pony? This is a very cute and lovely ride-on stuffed pony for kids! Kids LOVE ponies and they all wish they had one! This cute plush riding pony will not require feeding and he does not make a mess! He only needs a cute ‘pony name’! Or how about Rony the Pony? Ok, I’ll let you choose his name! How about a Beautiful Life Size Plush Ride-on Unicorn? 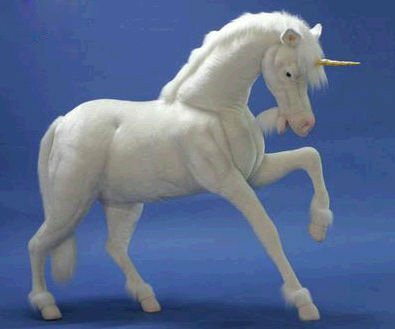 Hansa Unicorn Stuffed Animal – Studio Size 59 Inches Tall! So your child’s favorite animals are unicorns, right? Then this will be the perfect gift for his or her bedroom! Doesn’t he look just like a real unicorn? A gorgeous and very unique large plush ride-on unicorn for sale! Can you imagine having your very own white unicorn in your bedroom? Awesome Giant Stuffed Animals for Kids! 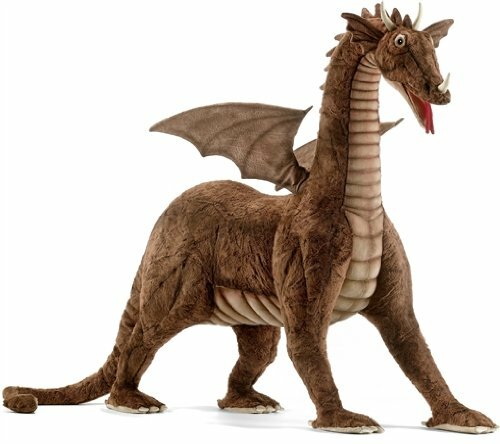 I bet you never dreamed you could have your very own realistic life-size giant stuffed dragon! Of all the giant stuffed animals displayed here, this giant dragon ride-on for kids is the most unique and impressive!! Imagine your little boy ‘owning’ his very own giant dragon!! He loves taking kids on a ‘dragon ride’! Don’t worry… he won’t fly very high…. He also flies and spits fire! 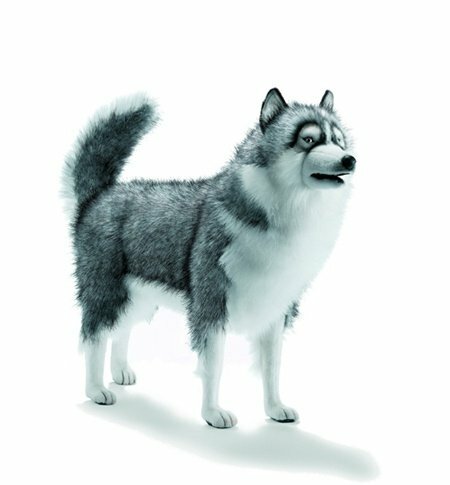 How beautiful and real looking is this gorgeous life size stuffed Huskie dog for sale? If you have always wanted to have a Huskie dog, here is your chance! You won’t need to take him on walks or worry about buying food! How about getting this impressive life-sized stuffed polar bear to have next to the grizzly bear? Your house is gonna look like a real zoo! How about this Life-Size Cheetah Stuffed Animal? It’s a life-size real looking plush cheetah for sale! You will never make it! Then you are going to enjoy this very large plush penguin for sale! Have you ever seen a gigantic stuffed penguin before? 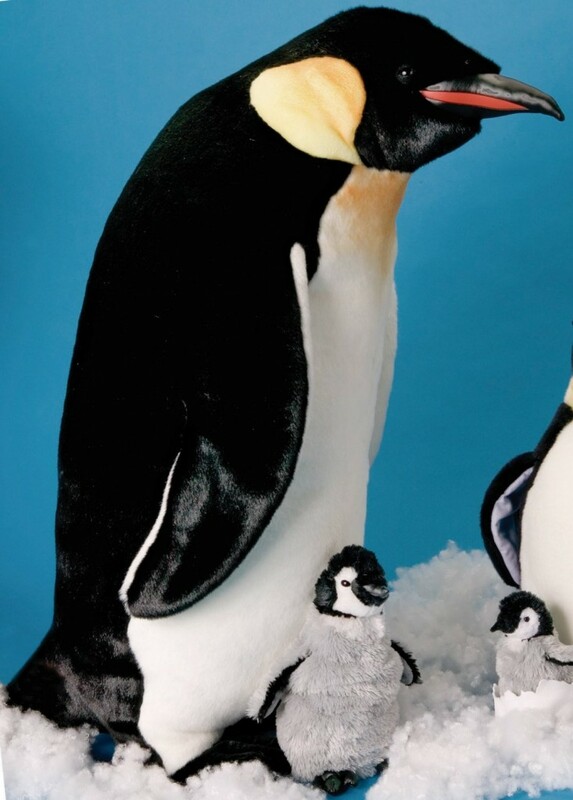 Of all the fun oversized plush animals for sale from this page this gigantic plush penguin is probably the most unique! This giant stuffed penguin is more than oversized! He is 33 inches tall! Needless to say this is the ultimate gift idea for any penguin lovers! Make sure you have enough room in the house for him! You can have him NEXT to your fridge in the kitchen, how about that? He looks just like a real elephant! No giant stuffed animal collection would be complete without a cute giant stuffed elephant! Another gorgeous and very realistic giant ride-on elephant for kids! So, whoever is up to having a gigantic ride-on elephant in their bedrooms raise your hands! Did you know that elephants are the largest land animals now living? Kids love elephants and they are going to absolutely love having their very own ride-on plush elephant! One of the most fun giant stuffed animals for kids! He is also a cute ‘ride-on elephant’ for kids! Even better if you have an ‘elephant bedroom’! Fun Giant Stuffed Animals for Kids to Ride on! Zebras are fun and very unique looking animals! They kind of look like a small horse but they are not!! They are white and have black stripes! Kids are going to love riding this fun giant stuffed zebra! She looks extremely realistic too! It will be even more fun to place her against a ‘zebra wall’! 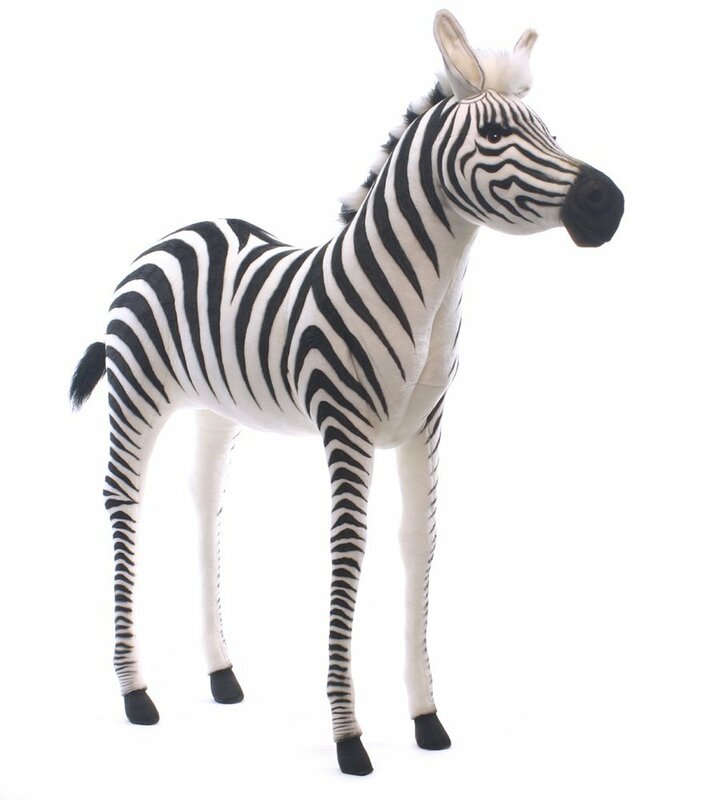 Giant zebras are one of children’s favorite giant stuffed animals! Even better if they can ride them too! Time for a cute and fun giant plush zebra for kids! Yes, kids can also ‘ride’ her! Even better if you have a ‘zebra themed’ bedroom! Gigantic Life Size Silver Back Gorilla Stuffed Animal – Over 5 Feet Tall! Hansa Life Size Silver Back Gorilla Stuffed Animal – Over 5 Feet Tall! 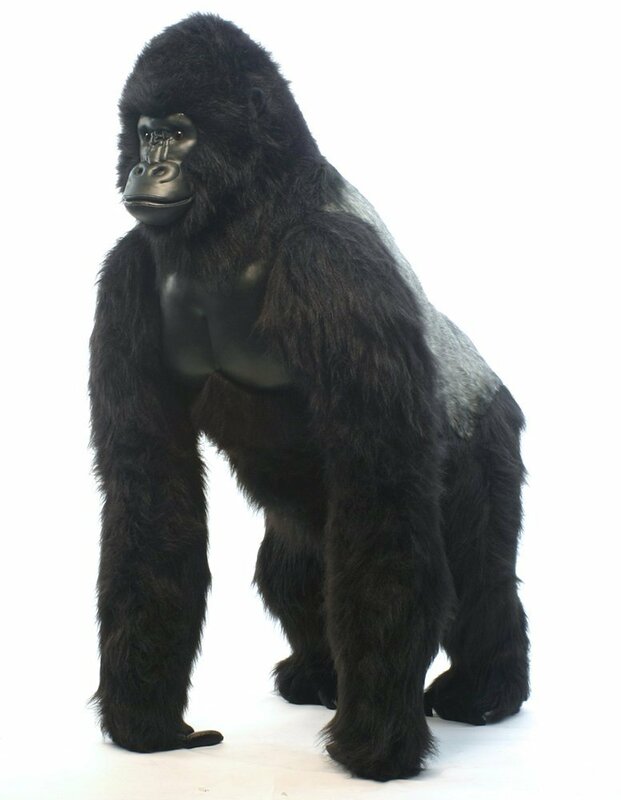 This giant gorilla stuffed animal is among the most impressive realistic looking life-sized plush animals around! How can you not feel you are in the jungle near him? How about creating a ‘Safari’ themed living-room in your house? 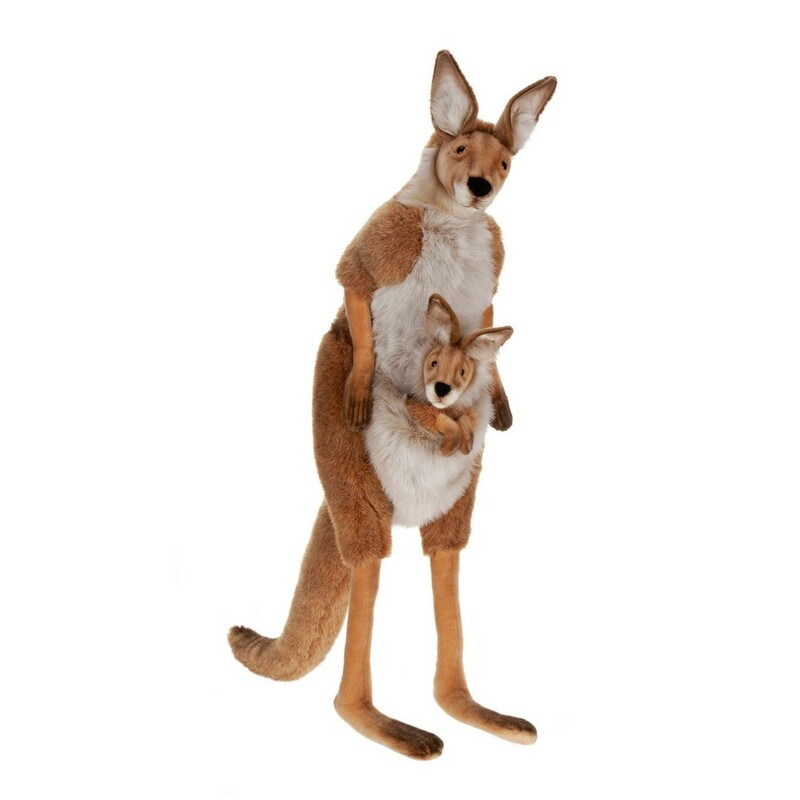 Cute Life Size Mama and Joey Kangaroo Stuffed Animal! How adorable and extremely unique is this life size stuffed kangaroo with her baby? What a perfect ‘kangaroo gift idea’! Children are gonna love them!! And I end my selections of impressive giant stuffed animals for sale with this gigantic plush panda! I hope you had fun here! 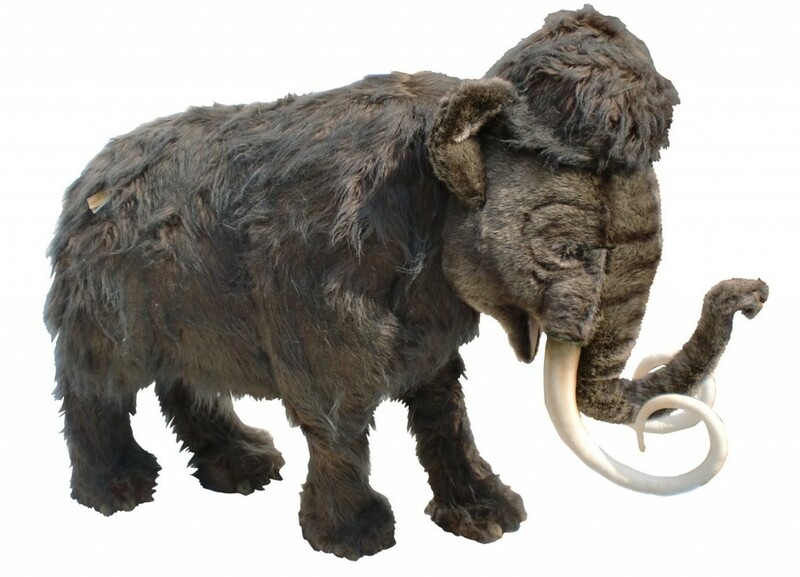 Giant Plush Mammoth – Over 7 Ft Long! Biggest Stuffed Animals on Earth! I had to come back here and show you this gigantic plush mammoth for sale! I know you have been dreaming about gigantic elephants…. Now your dreams are coming true! Here is a gigantic stuffed mammoth for sale! He is over 7 feet long and over 6 feet tall! Do you have a ‘mammoth’ bedroom to place him? Or perhaps a gigantic living-room? He is very realistic too and people will be lining up to go to your house to take pictures next to him! I bet no one will expect seeing a huge mammoth in your house next time they visit! Have all the cameras ready! Who wants to ride a camel today? How about getting this cute and extremely realistic ride-on plush camel for your kid? 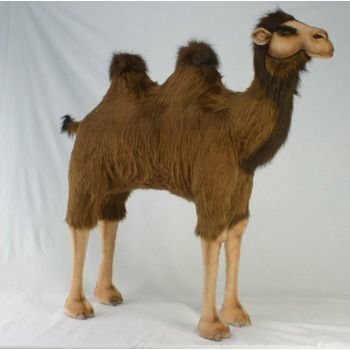 Very unique handcrafted ride-on stuffed camel for kids! Kids can now ride their own camel, inside the house! Isn’t he absolutely gorgeous and very real looking? Your child is gonna go nuts having his very own riding camel! Can you think of a more fun gift idea? Fun Life Size Ride on Stuffed Animals! 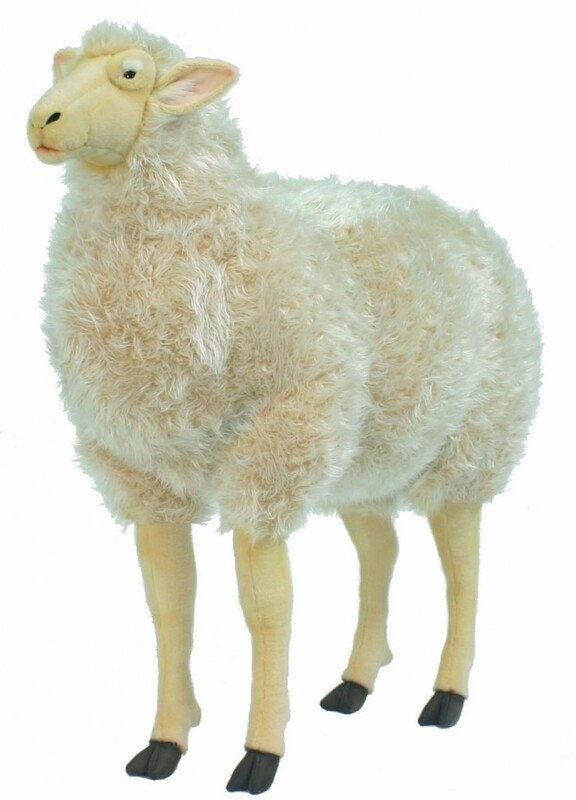 It’s a cute life size plush sheep for kids to ride-on! I can almost hear him going ‘Baaaaaaaa’! ‘Baaaaaaa’! Can you imagine having a big bedroom full of your favorite life-size realistic plush animals in it? The Most Unusual Life Sized Plush Animals for Sale! Have you ever seen a buffalo this up close before in your life? 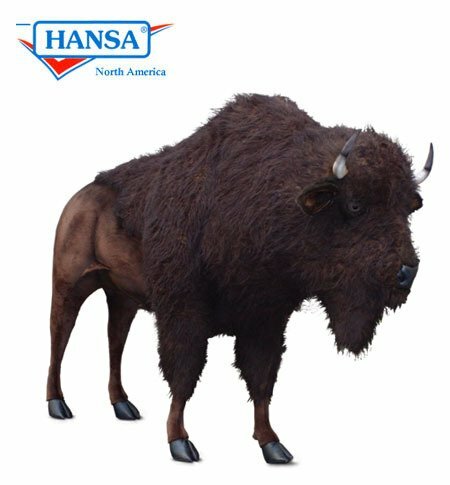 I have never even seen a real buffalo up close, let alone a giant standing plush buffalo! You better have a huge room for him in your house! Actually he can live in your home! It is one of the most impressive life sized plush animals I have ever seen! A realistic ride-on plush buffalo! Even adults up to 150 lbs can “ride” him! *If you want to take this almighty buffalo to your bedroom today, all you have to do is click on his picture above! Impressive Giant Ride-On Stuffed Animals! Are you looking for the most impressive real-looking giant stuffed animals for sale? You prefer a giant ride-on plush Bengal tiger instead? How impressive and realistic is him? Look at his tiger stripes! Can you imagine having your very own Bengal tiger in the bedroom? This is a life-size mighty ride-on plush tiger! He is very friendly and loves kids! He is also a vegetarian, so you are safe! It will be extremely fun watching people’s reactions when they first see this tiger standing somewhere in the house! These amazing animals were handcrafted to replicate the real animals as accurately as possible! Impressive Real Looking Crocodile Stuffed Animal! Things are getting way more serious here now! It’s a gigantic realistic stuffed crocodile for sale! He is over 8 feet long!! Cute Gigantic Teddy Bears to Cuddle with!